Brian has raised his family and built a long career in Lancaster County since graduating from Franklin & Marshall College and Villanova Law School. 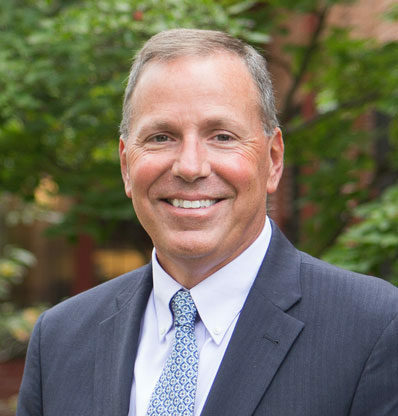 Brian began practicing law in the southcentral Pennsylvania region in 1992 – and has established a longstanding and respected reputation of providing seasoned and values-driven legal counsel in the areas of Estate Planning and Business Succession Planning. Brian joined North Group Consultants as a partner and consultant in 2014. In his role at North Group, he continues to focus on serving family business owners as they plan and execute pivotal ownership and leadership transitions. Additionally, as a partner of Legacy Law he provides the essential legal counsel to his clients in those same areas for successful business and family transitions including charitable gift planning. Brian’s expertise in Business Succession Planning has created a unique platform for our clients: (1) from a leadership perspective – by facilitating the crucial conversations necessary for successful transitions and by engaging and developing organizations, leadership teams and next generation leaders along with the rest of the consulting team at North Group Consultants, and (2) from a legal perspective – by delivering the legal services necessary to assure the successful completion of family and business transitions through Legacy Law. Brian is a loving husband to his wife, Vegee, and a dedicated father to his children Aaron, Daniel, Adam, Amanda and stepson, Nick. He most enjoys bike rides and tennis for exercise and leading a small group on Tuesday nights with young millennials. He and Vegee are newlyweds and have recently found a church home at Calvary Church where they are looking forward to building relationships and investing their time there.